The people who spoke up about sexual misconduct have been named Time Magazine's Person of the Year for 2017, the "Today" show revealed Wednesday. Their stories of sexual harassment and sexual abuse, which cost major figures like movie mogul Harvey Weinstein their jobs, sparked the #MeToo movement that's changed workplaces in industries across the world. "This is the fastest moving social change we've seen in decades," Time editor in chief Edward Felsenthal said on the show. Featured on the cover are actor Ashley Judd, former Uber engineer Susan Fowler, lobbyist Adama Iwu, singer Taylor Swift and strawberry picker Isabel Pascual, all of whom have alleged or spoken out against sexual harassment in their workplaces. "Women are starting to believe we don't have to just live like this," said NBC's Megyn Kelly in a video for Time. Kelly has said she was sexually harassed by her former Fox News boss Roger Ailes. Tara Burke, a black activist who founded the #MeToo movement on Twitter in 2006 to raise awareness around sexual violence, said she initially feared the conversation around harassment would be framed as just another hashtag that people move on from, which happens to most social movements. She said earlier this month at a rally in California that she hopes the conversation around harassment in Hollywood will broaden to include other industries. "#MeToo can be a conversation starter or it can be the whole conversation," Burke told Time. Actor Alyssa Milano, who helped make the #MeToo movement go viral on Twitter this year, said, "We have to teach our boys from a very young age that it's important that not only they take care of women, but that they are respectful and that they understand that here are things that are not OK."
Each year, the magazine picks the person, group or concept that has most influenced the news and the world "for good or ill."
President Donald Trump held the title in 2016 and was this year's runner up. 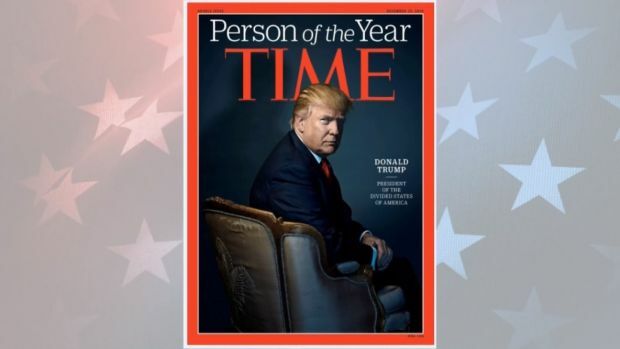 He said last month that he was turning the honor down, tweeting that Time "called to say that I was PROBABLY going to be named" person of the year, if he agreed to an interview and photo shoot. "I said probably is no good and took a pass."